The high level of satisfaction on the part of exhibitors at last year’s initial fair edition was a very positive sign and the high expectations were amply confirmed at this edition of Be Italian which just concluded. This overwhelming success is due to the effectiveness of the fair model developed by Lombardia Fiere (a fair provider composed of Centro Fiera, Pro Brixia, Promoberg and CremonaFiere) intended to bring together the specialties of the Italian culinary tradition and professional equipment made in Italy with an audience made up of thousands of US restaurant and foodservice professionals. 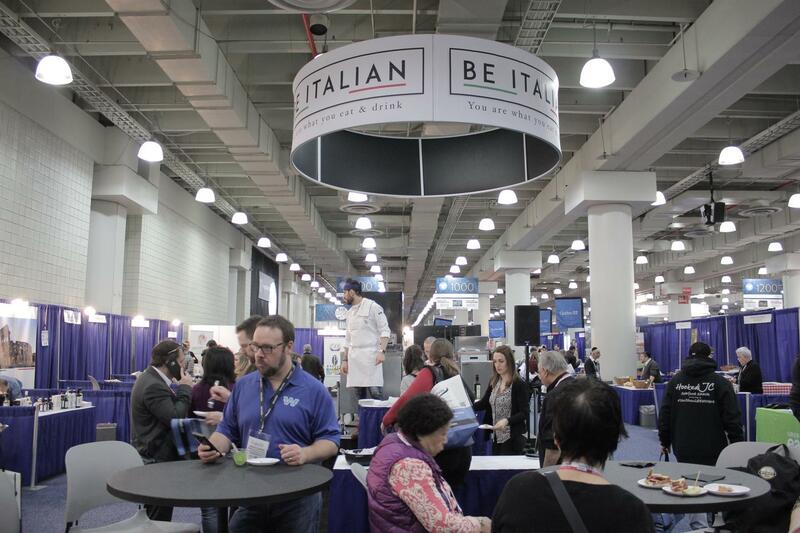 Be Italian was set up to evoke an easy-to-identify Italian town square within the context of the International Restaurant & Foodservice Show, and the public immediately showed keen interest in the Italian effort. Chefs, restaurateurs and distributors from all over North America continued to flock to the Italian area throughout the entire three days of the event, enabling the exhibitors to establish important business relations with highly qualified interested parties. High attendance figures were also tallied up by the cooking shows organized in collaboration with the New York chapter of the Federazione Italiana Cuochi (Federation of Italian Chefs): showcase events featuring 4 chefs who took their turns preparing and explaining various traditional Italian dishes, utilizing primarily products made by the attending exhibitors, enabling fairgoers to taste the specialties on display in the booths.